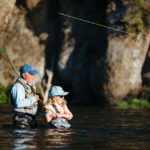 In this excerpt from the revised second edition of Simple Fly Fishing, Patagonia’s Yvon Chouinard details why – in an increasingly complex, crowded, consumption-obsessed, high-tech world – it’s more important than ever to keep it simple, stupid. Especially when fly fishing. 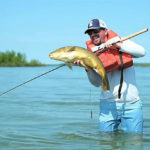 ‘The state of the art in angling these days is defined by “sports” standing in a guided drift boat mindlessly throwing Chernobyl ants at the bank. Or maybe just drifting along, staring at the red-and-white bobber while the guide rows them into position. The next big advance will be fiber optics embedded in our lines so we can sit in the boat and watch a screen to know when to set the hook. If you didn’t see it on your smartphone, did it really happen? Angling doesn’t have to drift further to the dark side. 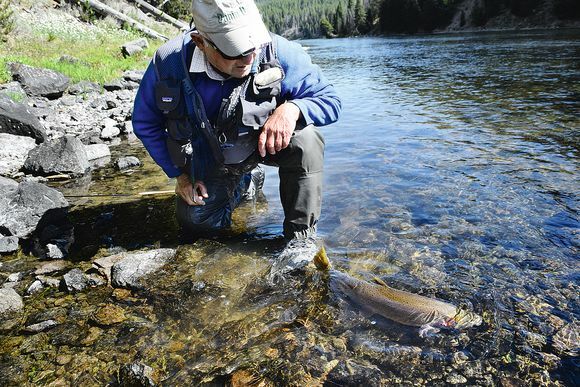 What’s happened with fly fishing is no different from what’s happened with every other sport or pastime—in fact, with society as a whole. We all know the present world economy based on endlessly consuming and discarding is destroying our planet. We are the guilty ones. We are the consumers who “use up and destroy.” We constantly buy things we want but don’t need. And it seems we never have enough. 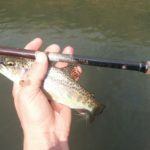 Our trout rods are designed to throw lead-weighted streamers clear across the river. Reels come with drags engineered to stop a truck, even though we know any old click drag will stop a trout. We love our tools, but too often they have become overbuilt and automated. They get between the user and the real experience. For the rest of his essay, check out issue 14 of The Mission for free below. 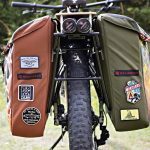 IS THIS THE ULTIMATE FLY FISHING MOUNTAIN BIKE?